Jimmy and Jean Harlan have owned and operated Sierra Service Center since 1995. We provide a full range of services from oil changes, to scheduled maintenance, to towing service, to radiator service, to major tune ups and repairs. We work on all vehicles covering Asian, European, and of course domestic. 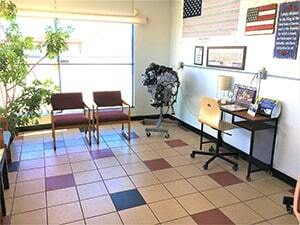 Sierra Service Center is a "mom and pop" operation with individualized attention. When you need to discuss problems with your vehicle you can talk directly to Jimmy an ASE Certified Service Consultant, and get straight talk and immediate answers. No corporate ladders to climb. Jimmy is a veteran and therefore places a great deal of effort in serving our soldiers and retired veterans. We service customers from the surrounding areas as well including Bisbee, Tombstone, Huachuca City and Benson. If you permit us, we would like to toot our own horn for a minute. We have several accolades which all point to one word: Excellence. Yes we have been in business for well over 20 years but that alone is not enough. We are a NAPA AutoCare Center which means we offer a two year, 24,000 mile nationwide warranty on all parts and labor honored at any of the more than 5,000 NAPA AutoCare Centers across the United States. We are also an Alumni of the Automotive Training Institute and actively continue our professional development within the industry. Our professional credentials are unique to Cochise county. 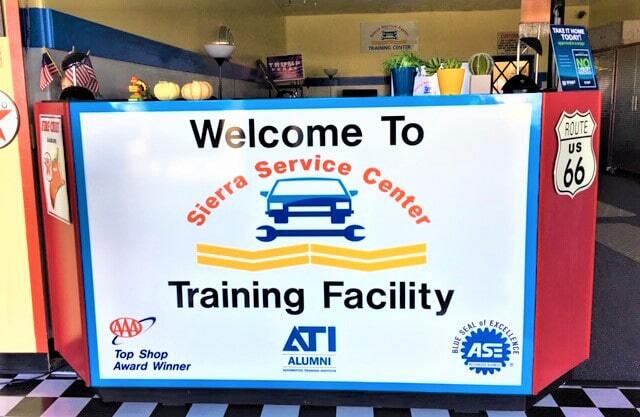 Sierra Service Center is the only automotive repair facility having achieved the ASE Blue Seal of Excellence Recognized Business designation ten years in a row. This means we employ only ASE Certified professionals who must meet standards by upgrading their certifications in areas in which they specialize. Our Service Consultants and Technicians all go through this process. No other shop in Cochise county can make this statement. Then there is the Automobile Association of America or AAA. The selection and approval process for AAA certification is very thorough and includes suprise inspections, review of credentials (ASE Certifications), customer satisfaction index ratings, A+ rating by the Better Business Bureau, cleanliness of facility including restrooms, waiting area, and shop, and interviewing management for future plans and improvements. Well, Sierra Service Center has met all of those criteria. BUT WAIT! Not only have we met those criteria which designate the best repair facilities in the state, AAA has an additional layer of excellence to designate certain shops as Top Shop Award Winners. We are proud to have received this very special status for four years in a row. 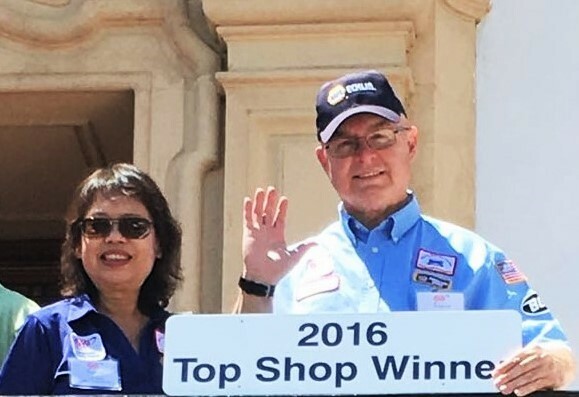 No other shop in Cochise county has ever achieved Top Shop Award Winner status. We are ranked as the best of the best. Toot, Toot!